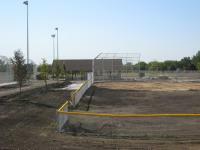 DJA recently completed site design services for the renovation of the 19-acre Bulldog Park. The renovated public site included four new ball fields, one soccer field, a new concession building, pathways and subsurface drainage. Services included Topographic Surveying, Site Design, Stormwater Management, Permitting and Construction Layout.